Studio Eric Klarenbeek has designed a 3D-printed chair that’s made with living fungus. In cooperation with the University of Wageningen and CNC Exotic Mushrooms, the chair concept is made by mixing water, powdered straw, and mycelium, the threadlike vegetative part of fungus. That mixture is then coated with a thin layer of bioplastic, and as the mixture dries and the mycelium grows, it creates what’s described as a solid but light material. “The chair is a metaphor for what can be achieved with materials and production methods. It could be a table, a whole interior, or even a house”, according to ArTechLab’s Eric Klarenbeek.” The chair is shown at Dutch Design Week 2013. 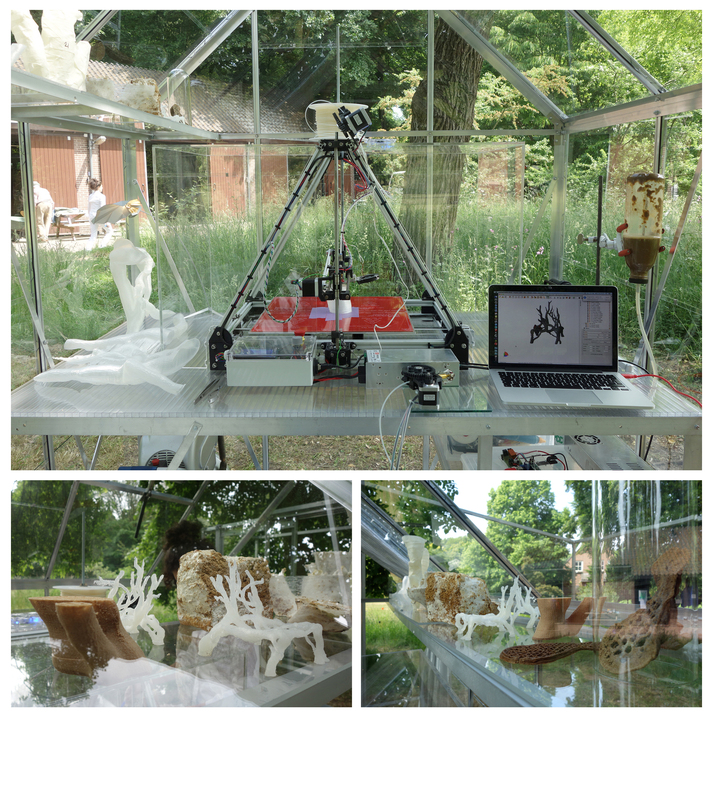 Posted in news and infoTagged 3D printing, Eric Klarenbeek, Fungus, MyceliumBookmark the permalink.